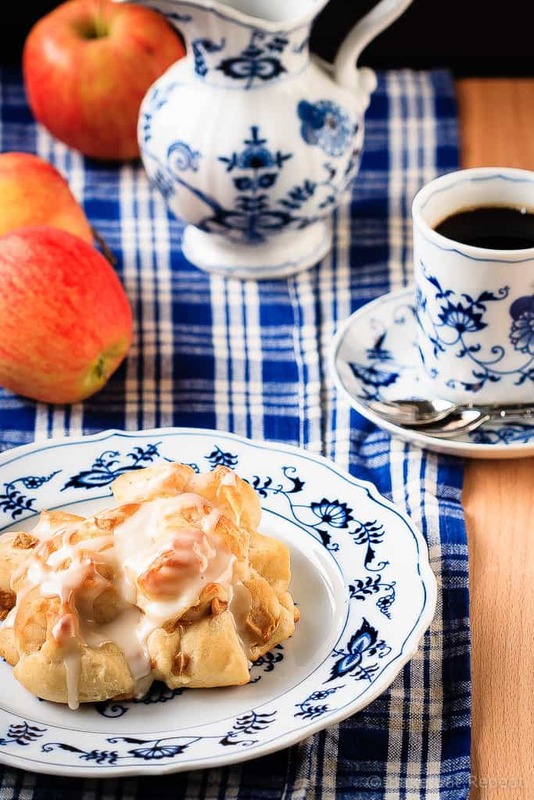 These baked apple fritters are easy to make and taste amazing – soft, tender, cinnamon spiced dough studded with apples and drizzled with a vanilla glaze. I haven’t really made a lot of doughnuts. I do a lot of baking, but doughnuts just haven’t happened in my kitchen all that often. I’m not sure why because I certainly enjoy them. Maybe because I never really knew baked doughnuts were a thing until a couple of years ago. When I thought of doughnuts, my mind would go to fried. And … I’m a tiny bit scared of deep frying. Again, I don’t know why. It’s just not something I do. We’ll say it’s for the health reasons. That’s definitely a factor, but maybe not the whole reason. So these apple fritters aren’t fried. That’s too scary unhealthy. These are baked apple fritters, and you know what? You won’t even miss the fried part, because these baked apple fritters are absolutely fantastic. 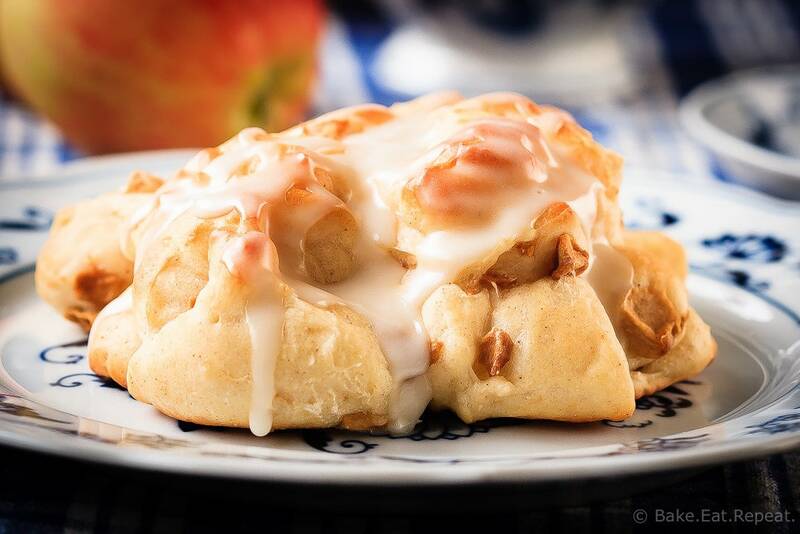 Soft, tender cinnamon spiced dough studded with chunks of apple and drizzled with a sweet vanilla glaze – they’re the perfect breakfast treat. I can’t really blame them though, when you see a fresh baked apple fritter dripping with glaze, it’s kind of hard to not want one immediately, if not sooner. Considering how many of these have disappeared already, I kind of don’t think they’re going to last long. I guess I should make baked doughnuts more often. They’re kind of amazing – and not scary to make at all! 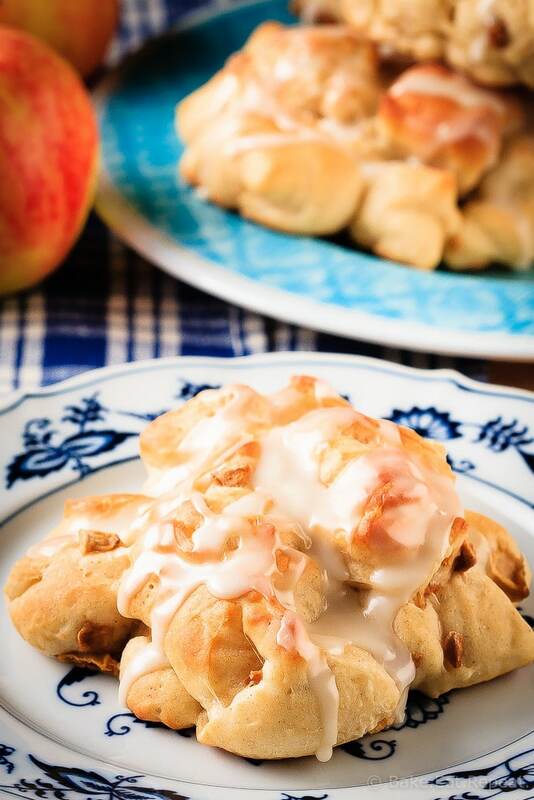 I’ve also shared this Baked Apple Fritters Recipe over on Food Fanatic. Hi Barb - I'm not sure why it's all not showing up for you. Number 6 is the last step, there's just "notes" after that, but it all shows up for me and I checked with two different browsers. Maybe try again? If you still can't see it let me know and I'll email it to you! You can also click on the link to Food Fanatic for this particular one and the recipe is on that site as well if it's not showing up for you. I'd love to fix it but can't see anything wrong on my end!